I was fortunate to get an airplane ride yesterday by the Mayor of Terrell Hal Richards. The purpose of the ride was to photograph the renovated football stadium. You will have to wait a week or so to see those pictures. They first will be in the program at next Friday nights home game. 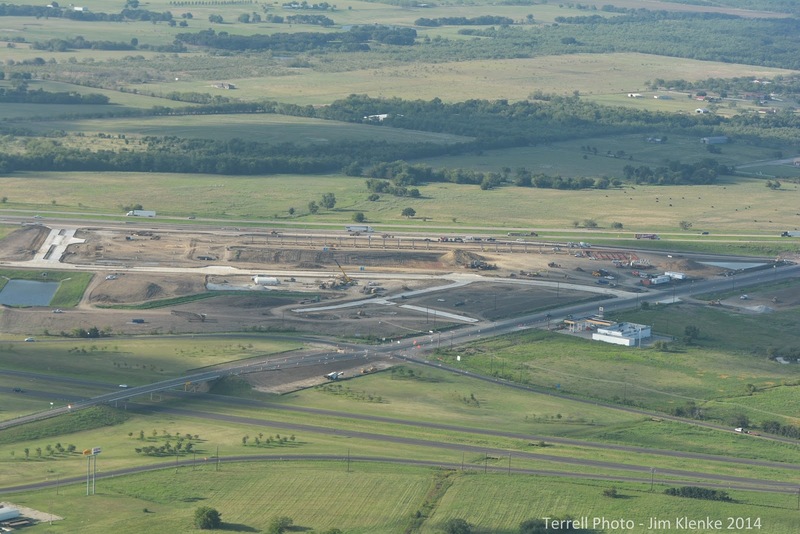 This is a view of the Buc-ee's construction in Terrell off of I-20. It's going to be huge with close to 80 gas pumps and 125 full time jobs that will pay above minimum wage. I've never been to one of their stores, but people flock to them.